2008: Sr. Barbara had a voice that rolled and comforted like rosary beads in your hand. “Coincidences are just God’s way of staying anonymous,” she read aloud to the ten volunteers sprawled on the floor of the retreat room. A surprise tangled into the seaweed on Sandpiper Beach, Swanwick, Tasmania. 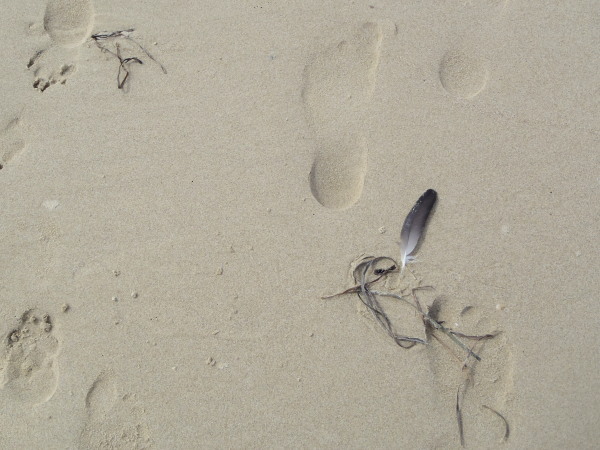 2013: A feather appeared at the foot of this pensive writer, as she wandered up and down Sandpiper Beach, and struggled to define her many resolutions for the broaching new year. Feathers are so common I’d long ago quit noticing the directions in which they pointed. Shortly after 2008, actually. And yet, as I considered the future now (some five years later), one wispy stem lay directly in my path. 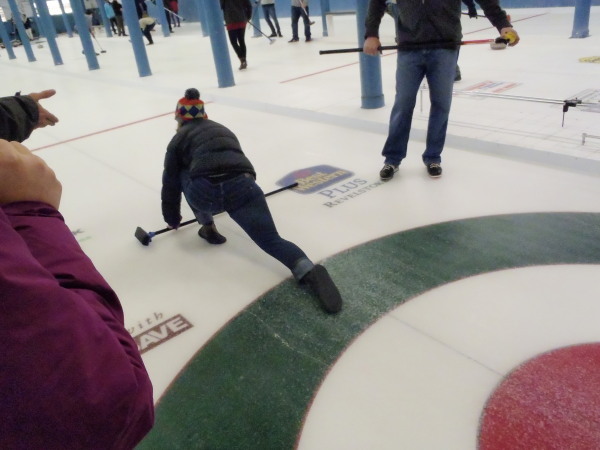 Sal lunges into the ice at our Friday night curling club. Revelstoke, British Columbia, Canada. Revelstoke, British Columbia, was an introduction to both Winter Wonderland, and the irrevocable fine print of public transportation. Four unnecessary bus tickets, two extended flights and one expensive taxi later, I’d learned to curl, snowboard, and stop making plans in advance. After all, it’s far easier to buy an open-date Greyhound ticket, than it is to cancel a blizzard. 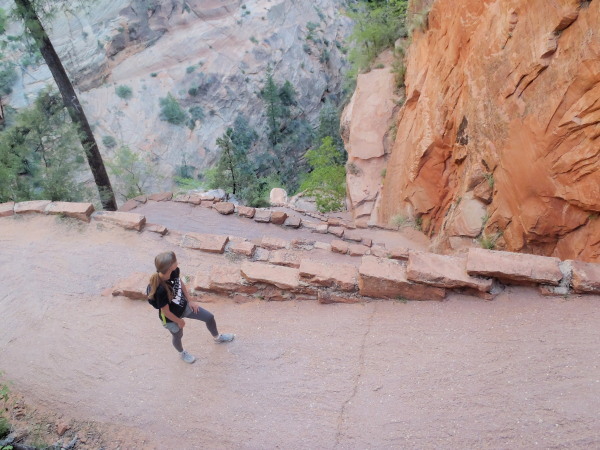 Struggling up the switchbacks of Angel’s Landing in Zion National Park, Utah, USA. Three months. Then six months. With each passing paycheck, my meager savings delayed the “temporary” habitation of my parents’ loft. Yes, I was a 28-year-old living with her mother and father in small town USA. I’d unpacked my bag with such conviction, yet watched costs build up and dreams disappear under price tags. In the end, the only goal I met was to make an effort. 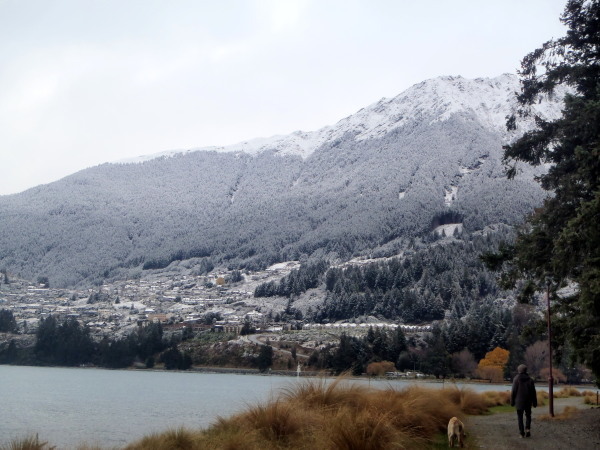 The South Island winter, and our frustrated immigration process, seemed to last forever. Queenstown, New Zealand. Caveat: Especially if it’s set by an government agency. After the suggested visa deadline extended itself indefinitely, putting my boyfriend and I at the seemingly endless hospitality of his family in Queenstown, New Zealand, we agreed never to base our schedule around a due date again. Carving such firm numbers into stone slowed us down, inspired headaches and stomach cramps. Deadlines are only good for determining Plan Bs, Cs, and Ds. Ask questions and listen for answers. Nundroo had a larger population of wombats than it did people. South Australia, Australia. “What now?” That 4:00 a.m. e-mail from our Immigration Case Manager, permitting me five years’ legal entry into Australia, knocked down so many vigilant blockades to our future. But it also sparked a session of insomnia. Could we find a job together, in a new environment, with wages high enough to pay off the debts we had incurred? Beg for help, and the Universe usually responds with something entirely unexpected. Make statements and receive affirmations. Sometimes, we must climb steep heights in order to understand the humility of our existence. 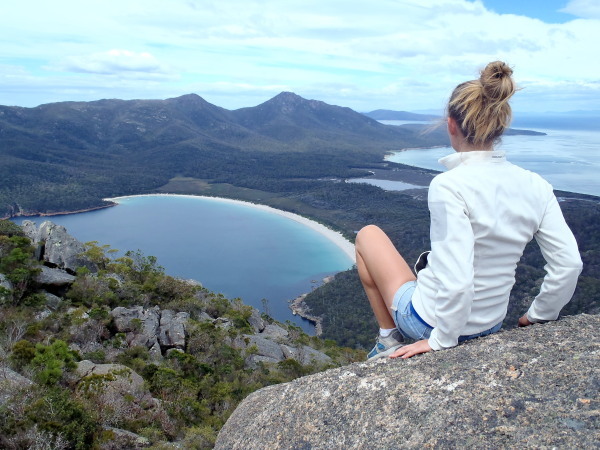 Mount Amos, Freycinet National Park, Tasmania, Australia. 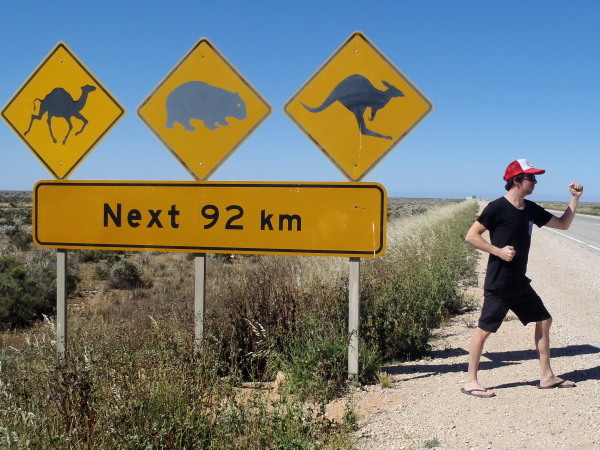 After working in South Australia, I felt closer to my financial and lifestyle aspirations. Yet something was still missing. Did I want to spend the next year waitressing in the middle of nowhere, to pay for a graduate degree I’d drooled over since that 2008 revelation? Or could we not combine our nomadic habits with a more challenging job and a location we loved? Tasmania, Hadyn and I whispered to each other, Tasmania was our secret heaven. We would accept nothing less. When given an ultimatum, the Universe most often provides you with positive results. Life has a way of surprising us… Boyfriend Hadyn and I admire the Bay of Fires in 2010, never knowing we’d move back four years later. Follow feathers. Let the Universe guide you. So maybe I was wrong to leap into 2013 with a notebook full of must-dos and micro-managed options. There were no fated signs, only my own petty scheming. Instead of flowing with the world around me, I tried to balance stiffly on one straight line. And in the end, I toppled off into a mound of my own disappointment. But no more. Blow onward, 2014, throw feathers in front of us all. May we learn to decipher their meanings, and walk confidently with our best foot forward…in whichever direction that may be.